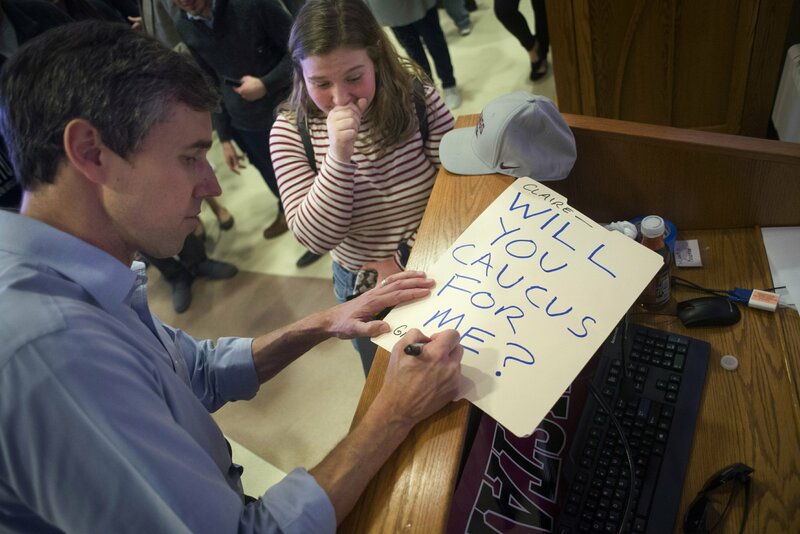 Beto O’Rourke says he hasn’t thought about running for Senate in Texas if his White House bid is unsuccessful, and wants to focus fully on winning the Democratic presidential nomination. O’Rourke says thinking about an alternative position would be a distraction. The former Texas congressman came within about three points of defeating Texas Republican Sen. Ted Cruz last November. Some Texas Democrats had hoped he would run against Republican Sen. John Cronyn, who’s up for re-election in 2020. Sen. Michael Bennet is trying to keep his recent prostate cancer diagnosis out of mind as he mulls a run for president while visiting New Hampshire. Speaking after the event, the 54-year-old said he’ll have surgery at the beginning of the Senate recess and hopes to be on the move again a few weeks after. Former Colorado Gov. John Hickenlooper is wrapping up three days of campaigning aimed at reaching out to black voters, who are key to a Democratic presidential effort in southern states. Hickenlooper said Saturday in Charleston, South Carolina, that he’s making an effort to “meet people where they are” in getting to know the diverse electorate in states outside his own. Hickenlooper this week addressed the Rev. Al Sharpton’s National Action Network, using his speech to the group in New York to outline his record on policing. Hickenlooper suggested that the nation “shutter some prisons altogether.” He then visited a lynching memorial in Montgomery, Alabama. O’Rourke made the comments while leaving a house party in the Des Moines area. It’s Bernie versus Beto in Iowa. The Vermont senator raised more than $18 million in 41 days, while Beto O’Rourke, a former Texas congressman, reported $9.4 million in 18 days. Iowa hosts the nation’s first nominating caucuses. Mayor Pete Buttigieg (BOO’-tuh-juhj) of South Bend, Indiana, along with Sens. Kirsten Gillibrand (KEER’-sten JIHL’-uh-brand) of New York and Michael Bennet of Colorado are visiting New Hampshire. Previous Previous post: Did Democrat Rep. Eric Swalwell Just Hoax a Death Threat Against Himself?